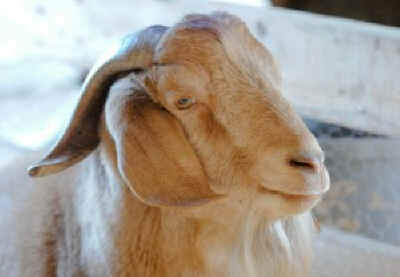 Jack came from a Brooklyn slaughterhouse where he and a female, Joy, were being used to breed goats for slaughter. Raising livestock in a slaughterhouse is illegal and when the ASPCA found out what was going on, they seized Jack, Joy, and Joey — who was their baby and still nursing at the time — and Jakob. The people who were breeding Jack evidently cared little if anything about him. 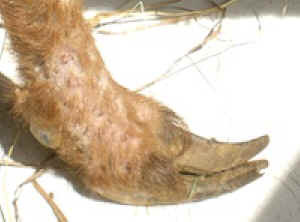 He came to us with terrible skin, grotesquely overgrown hooves, hoof rot and upper respiratory problems. Jack's hooves had never been trimmed, making it difficult to walk. Jack's legs were covered with mange that had been untreated for who-knows-how-long. Jack had lived for a number of years in the slaughterhouse and it’s hard to say what he saw or heard people do to animals. Those memories may account for why Jack is sometimes a little pushy with men, pushing them against a wall for no reason. He’s been getting more and more mellow, however, the longer he’s at the sanctuary, and discovering his innate love of people. He now loves getting his head scratched and being petted. He’ll stand completely still, just feeling the love and listening to the kind words. Jack is a particular favorite of one of our long-time volunteers, Stevie. They have a special bond. Jack will come up to her and wait for petting and attention and the occasional treat. Not that he needs treats—we would say Jack is “big-boned” but bones have nothing to with his sizeable stomach. But after surviving years in a slaughterhouse, he deserves to be pampered. This is where he can relax, become who he is and let go of the past into a loving future. 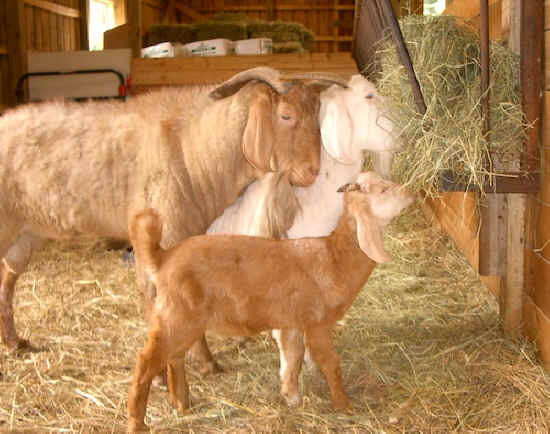 The goat family when they first arrived, their first experience off a concrete floor.